Corpus Christi Netball Club will be holding a fundraising night with a difference next weekend at the Australian Arms Hotel in Penrith. Instead of hosting a trivia night or something else mundane, the team at Corpus Christi will be putting on a night of Drag Bingo, to raise money to fund their end-of-year Presentation Night and buy equipment. Dubbed their “biggest fundraiser of the year”, Corpus Christi will be holding their Drag Bingo fundraising event next Saturday, June 16 at 6.30pm. Fundraising Convenor Fiona Knoke said there will be plenty of fun and games to be had at the popular High Street pub next weekend. “At our Presentation Night last year we did Drag Queen Bingo and it was so much fun that we thought we’d do it again for our fundraiser this year,” she said. 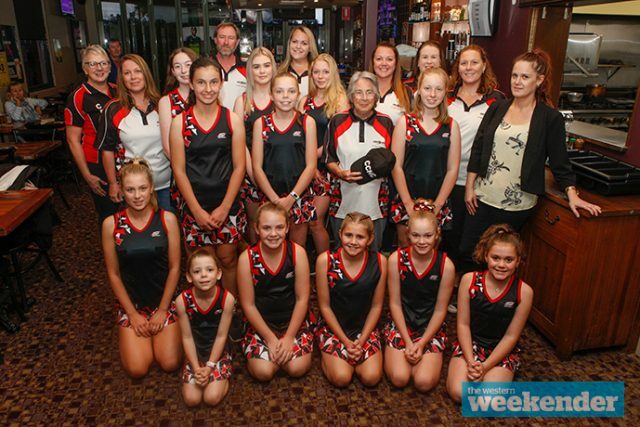 Corpus Christi Netball Club are currently celebrating their 25th anniversary this season, which will only add to the celebrations at the Arms next Saturday night. Tickets to Drag Bingo are $35 per person and includes a delicious pub dinner. Get in fast because bookings close this Saturday, June 9. To secure your spot or for more information, visit www.trybooking.com/VSJU.